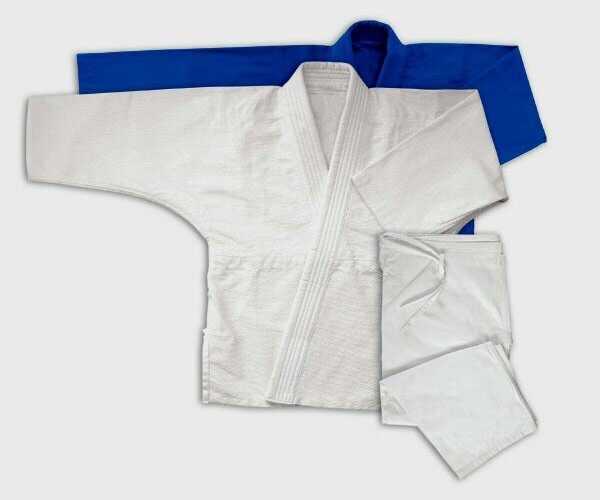 Heavy Jiu-Jitsu Gi - 100% cotton, double weave, color: white, bleached. Includes white belt. Can be used in Judo, Jiu Jitsu and other martial arts.